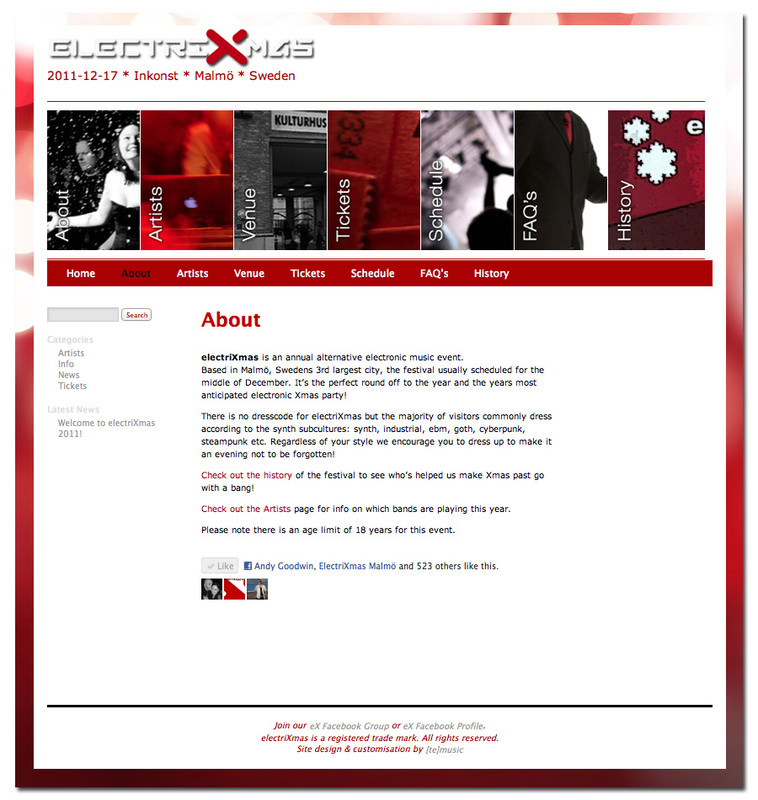 Once again we’re gearing up for the annual electronic Xmas party in Malmö Sweden – electriXmas. Based in Malmö, Swedens 3rd largest city, the festival usually scheduled for the middle of December. electriXmas has played to host some of the big international and local Swedish names, as well as up & coming artists, in the alternative/electronic/synth scene including; Covenant, Page, Rotersand, Aesthetic Perfection, Agonoize, Laibach, OneTwo, Grendel, Seabound, Combichrist, Welle:Erdball, Portion Control, VNV Nation, Second Decay, Dive, And One, E-Craft and more. [te]music has been working actively with this event since 2005 and is responsible for website design & management, online promotions, band bookings, administration and project management.